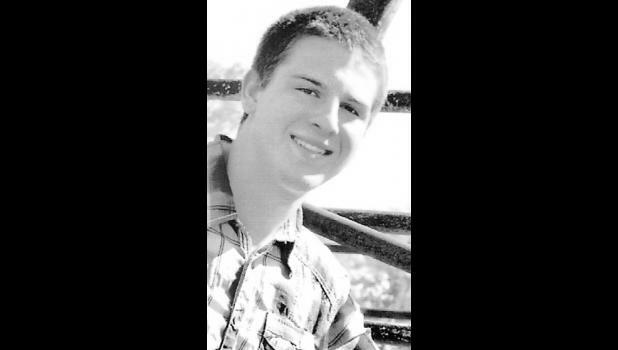 Matthew J. Bailey, 21, of Mayetta, died Sunday, July 8, 2018, from injuries sustained in a traffic accident in Riley County. He was born Sept. 23, 1996, in Topeka, the son of Melvin and Linda McClure Bailey. Matthew graduated from Royal Valley High School in 2015. During high school he played football and did wrestling and track. He was a member of Mayetta Christian Church and the Mayetta Mustangs 4-H Club. His daughter Amaya meant the world to him. Survivors include his daughter, Amaya Bailey, of the home; his mother, Linda Bailey and John Chavez, Mayetta; father and stepmother, Melvin and Jenny Bailey, Mayetta; grandparents, Donna and Norman Hinderliter, Silver Lake, Larry McClure, in Florida, and Marvella Bailey, Fort Worth, Texas; four brothers, James McDerrmott, Alexandria, Va., Michael Bailey, Topeka, Lance Bailey, Mayetta, and Tyler Area, Valley Falls; and two sisters, Jessica Kearney, Topeka, and Bailey Brown, Meriden. Family and friends will meet from 6 p.m. to 8 p.m. Thursday, July 12 at Chapel Oaks Funeral Home in Hoyt, where a memorial service will be held on Friday at 10 a.m.